Increase your leprechaun IQ with these tiny tidbits of leprechaun lore. What’s not to love about leprechauns? They’re in the fairy family. They’re associated with rainbows. And in the 80’s, they left sparkly green footprints in elementary school classrooms. Here are some other fun facts about these crafty little guys. 1. Leprechauns are cobblers, but often have only one shoe. 2. A tapping sound may signal a leprechaun’s presence. You may hear a Leprechaun hard at work on a shoe (or two), tapping away with his little tiny hammer. But if this sound alerts you to a leprechaun in your midst, think before approaching him. He might play a prank on you and then disappear, but remain in the vicinity, and you will know it by the creepy sound of disembodied leprechaun laughter. 3. 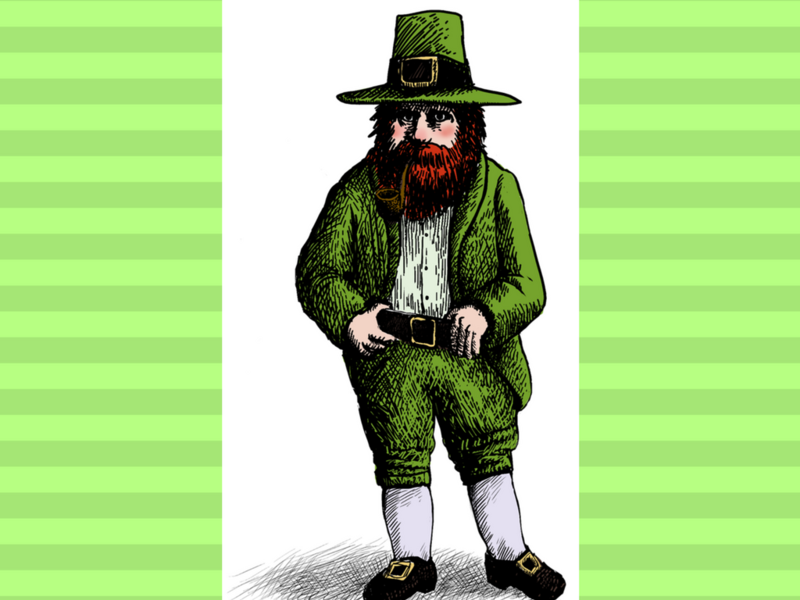 Leprechauns are often said to wear red, not green. 4. The leprechaun has a drunker counterpart. Did you know these little leprechaun facts? Do you love leprechauns? Please share any thoughts you may have in a comment below. This brought a smile to my lips and a big chuckle from my Mum! Thanks for the fun insight! Yay, Heidi! So glad you enjoyed.